Fire ants are a common nuisance that can turn your yard into a minefield. Due to their rapid reproductive rate, a fire ant colony in close proximity to your home can quickly balloon into a much larger infestation. Not only do these troublesome pests aggressively sting anyone that comes close to their colonies, but they also create large, unsightly mounds in your yard. To make matters worse, the mounds that you see are often just the tip of the iceberg. But why are fire ants so problematic? And what should homeowners do to prevent their spread? Though their ubiquity may make it seem like they have been here forever, fire ants are not actually native to the United States. The truth is, the most common species of invasive fire ant, the red imported fire ant, originated from the jungles of Brazil. Their home in the Amazon is a much harsher environment than in Georgia, and as such, they have no problems thriving in our mild Southeastern climate. In fact, they are so successful that they have become a major problem across the continental United States. Each year, billions of dollars are spent dealing with these pests. Homeowners are often caught off guard by an unexpected incursion of fire ants. While it is possible that fire ants have just expanded in the local area into your yard, oftentimes the real reason for this sudden activity is some sort of external change. The most common reason: landscaping. Fire ants are infamous for their tendency to infest nurseries and landscaping supplies. If you have new mulch, pine straw, or foliage placed around your home, it is possible that fire ants may ride along with it. This provides them with easy access to your yard, and they quickly take advantage of the situation. After they orient themselves to their new environment, fire ants will typically establish a colony in your yard. While you may notice the mounds of dirt sticking out of the ground, the majority of the nest is hidden beneath the ground. Within their subterranean lair, hundreds of thousands of fire ants are quickly bred to support and expand the colony. Once the nest grows too large to sustain its population, new queens will typically establish satellite nests in the nearby area. Due to this, a fire ant problem around your home won’t normally go away on its own, and in fact, it often becomes worse. At this point you might be wondering, why are fire ants an issue at all? While fire ants are not typically destructive to your home, they can be very aggressive when defending their nests from intruders. When a fire ant nest is disturbed, thousands of soldier ants are sent out to attack the threatening target, be that another insect, person, or pet. This can be a major risk, particularly for pets and children that might not know to stay away. Fire ant soldiers can swarm a target, delivering multiple painful stings. For those with allergies, fire ant venom can hospitalize you, and multiple stings can make symptoms onset more rapidly. Ultimately, fire ants are a problem waiting to happen, and it is essential to be careful when dealing with a nest. So, considering this problem, how do you get rid of fire ants? Contrary to what you might expect, you cannot get rid of fire ants by just destroying their nest. Each fire ant colony is filled with thousands of worker ants that will quickly repair any damage that the nest sustains. Further, you cannot drown fire ants by pouring water into the nest. Their life in the Amazon has made them well equipped to survive even extreme flooding situations. Ultimately, the most effective solution to a fire ant problem is a pesticide treatment that eradicates the entire colony. To ensure that you get effective, comprehensive treatment, you may want to work with a professional pest service and schedule an inspection of your yard. Fire ants can be a nuisance that’s tough to tackle, but with the help of the right pest control professionals, no ant problem is too big to solve! 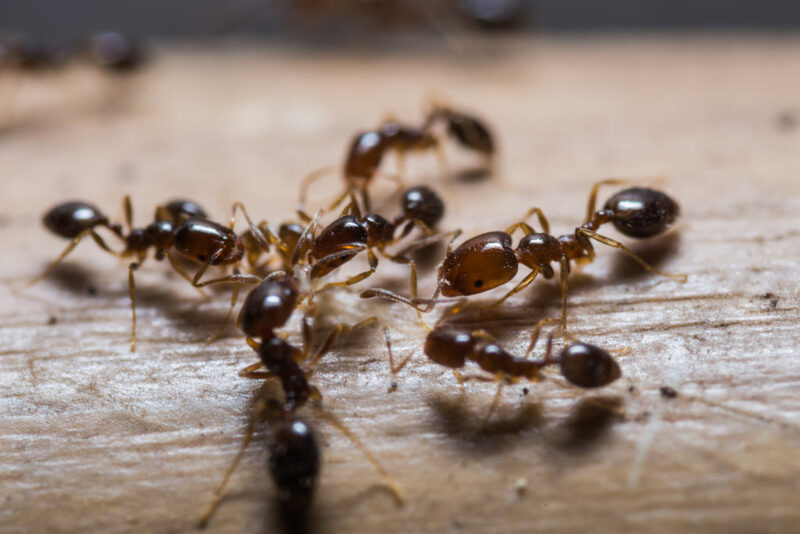 At Canton Termite and Pest Control, we have decades of experience dealing with fire ants and many other kinds of nuisance pests. Our team of highly trained technicians can inspect your property, identify pest hot spots, and employ a targeted treatment plan to resolve the issue. All of our services are backed by a 100% Satisfaction Guarantee AND are available at a price that fits your budget! So don’t let pests give you grief, call us TODAY at 770-479-1598!